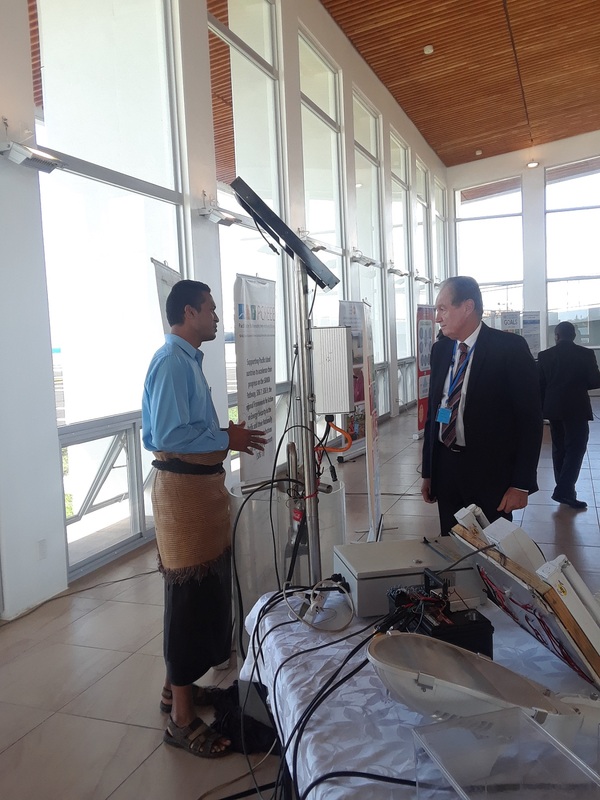 His Majesty King Tupou VI is a true champion for sustainable energy. 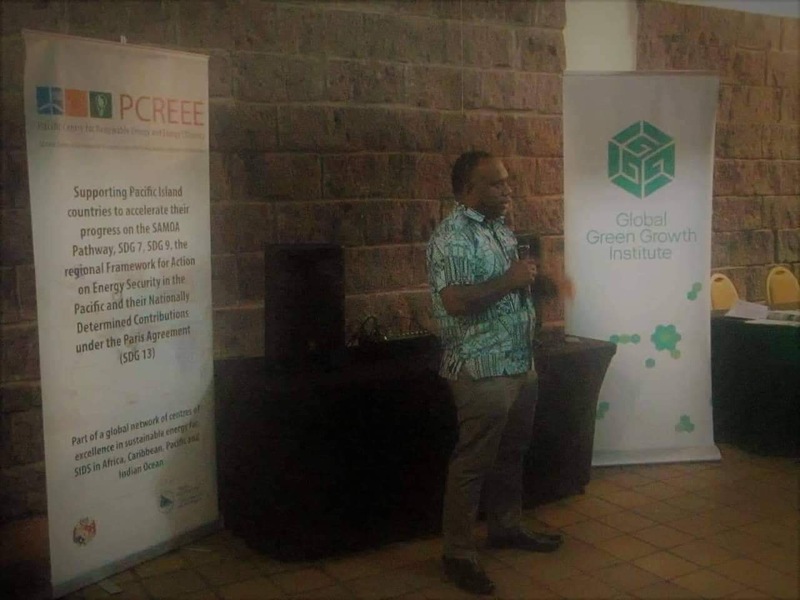 He is the key driver for his country’s transformation to an economy that is driven by renewable energy and energy efficiency. 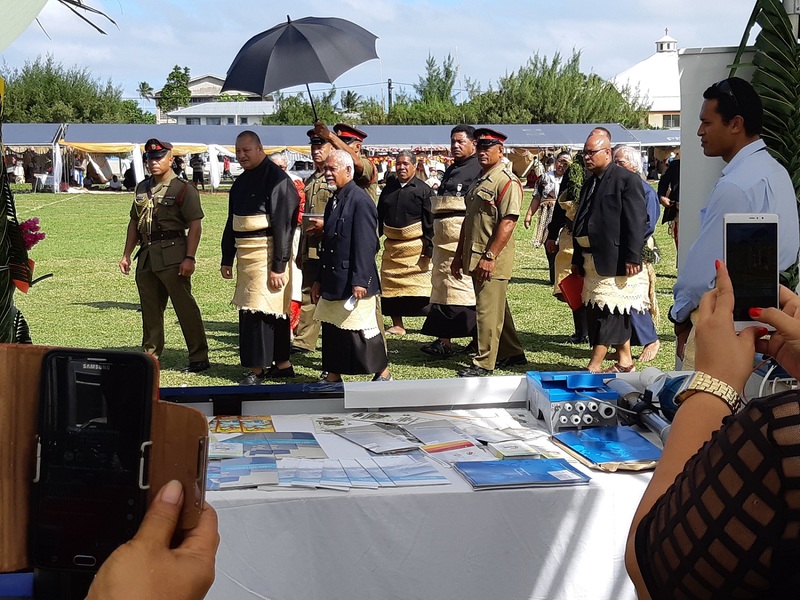 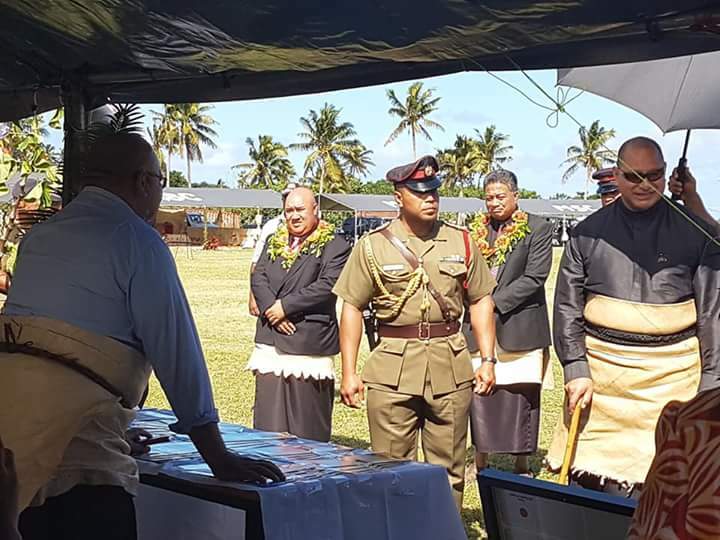 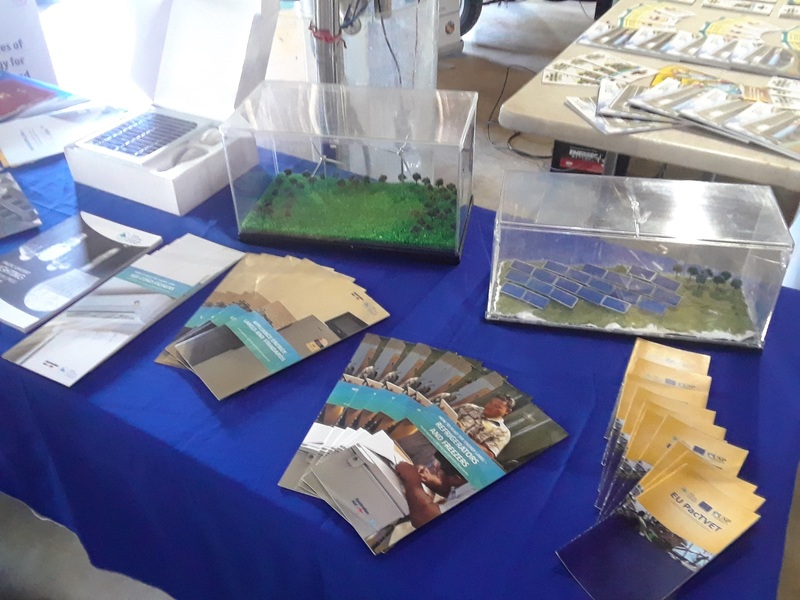 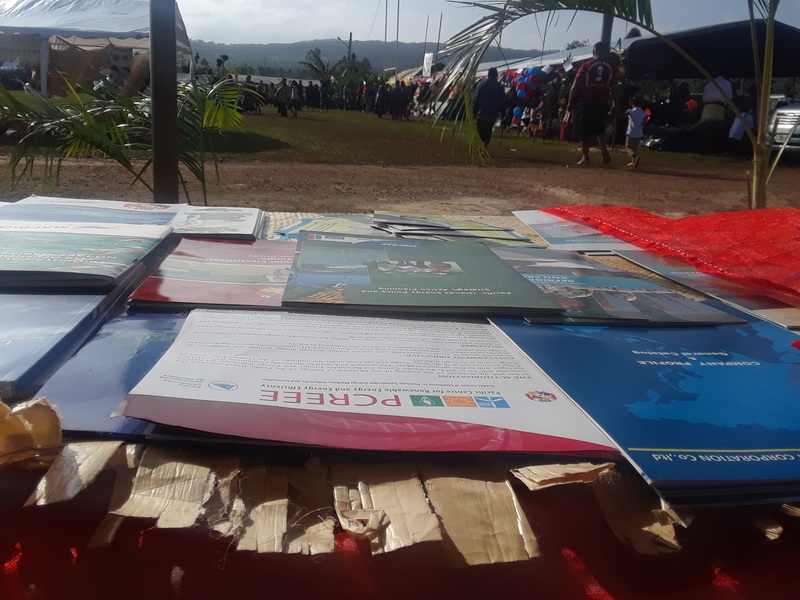 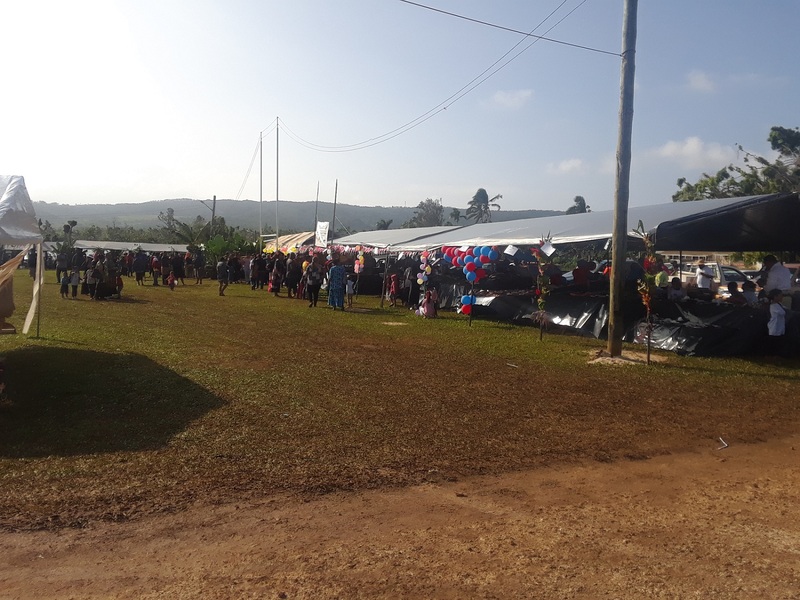 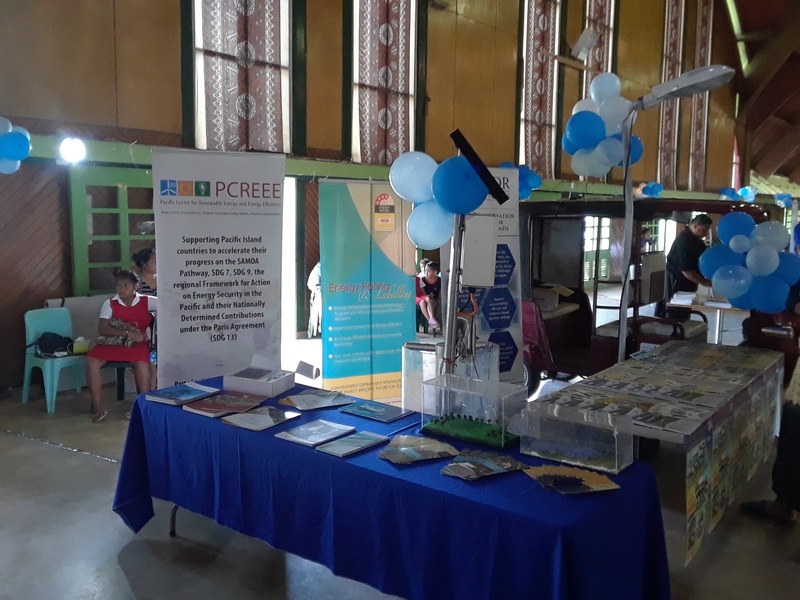 While visiting a joint Department of Energy and PCREEE display at the Ha’apai Royal Agriculture, Fisheries and Tourism Trade Show at Pangai on 23rd June, he emphasized to staff of their duty to look after the welfare and livelihoods of the people in the outer islands and remote communities. 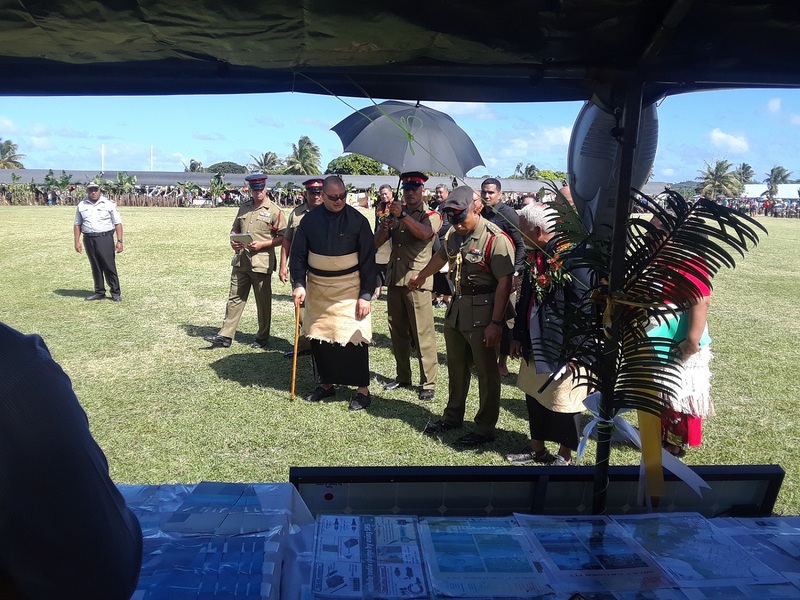 “I am pleased with the energy projects you have on the ground but you have to put more emphasis on their sustainability, in particular, the maintenance challenges,” said the king. 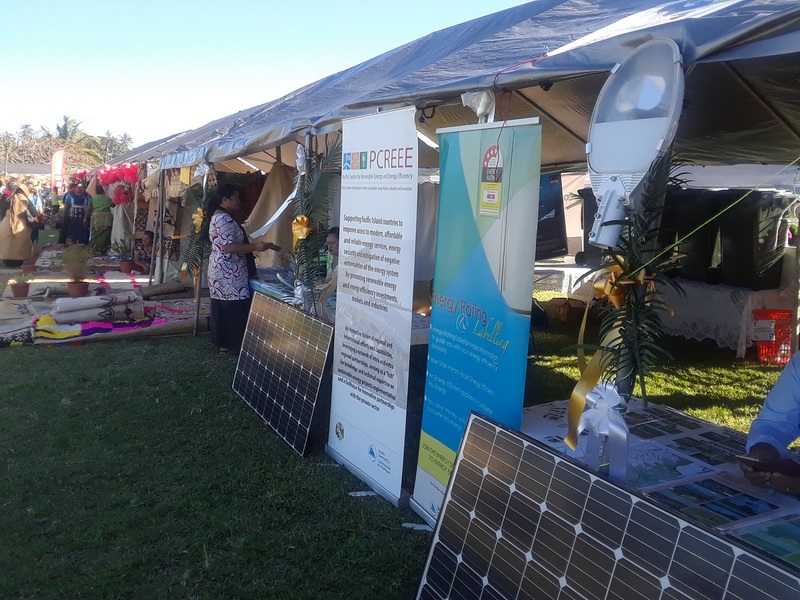 Tonga has an ambitious renewable energy target of generating 50% of its electricity from renewable energy by 2020. 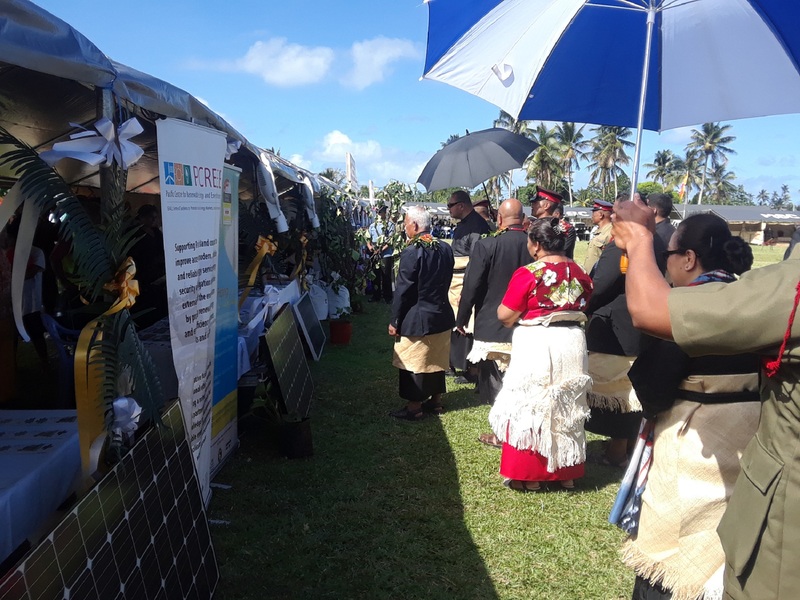 In 2012, His Majesty commissioned the first solar farm in Tonga. 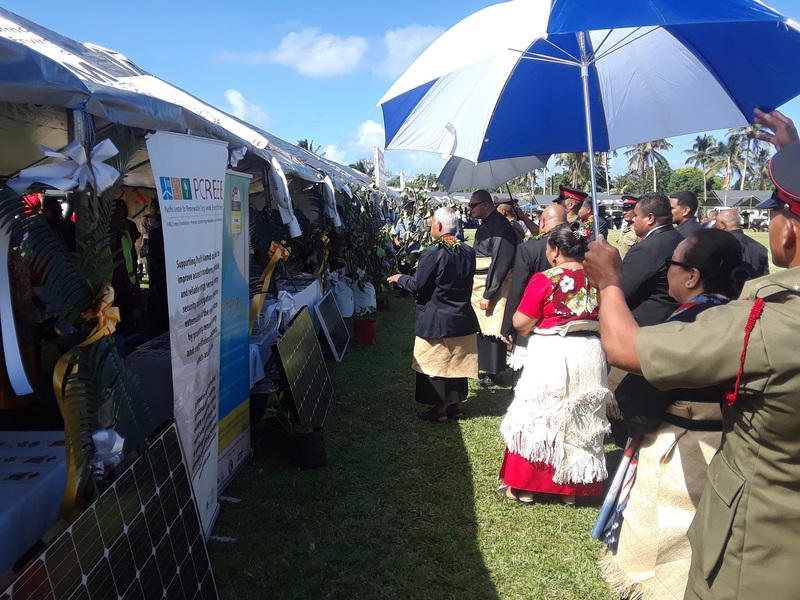 Every year after that he has commissioned more solar farms throughout the islands of Tonga and last year, he commissioned the first Independent Power Producer’s solar farm in the Kingdom. 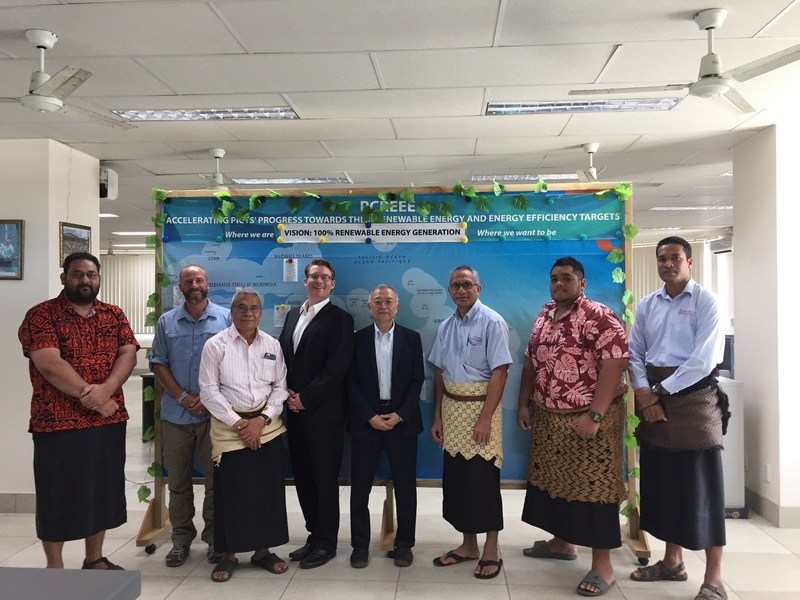 Tonga is working on its first wind power farm while continuing to significantly reduce losses in its power network. 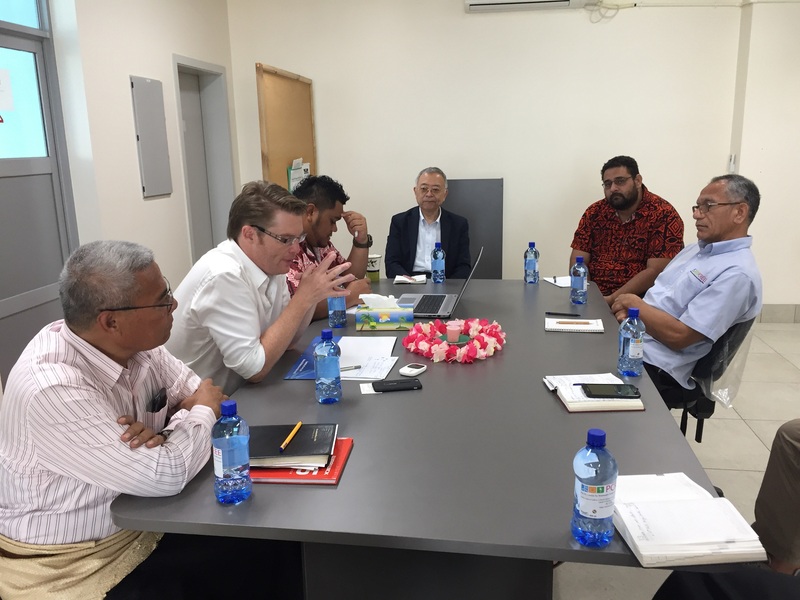 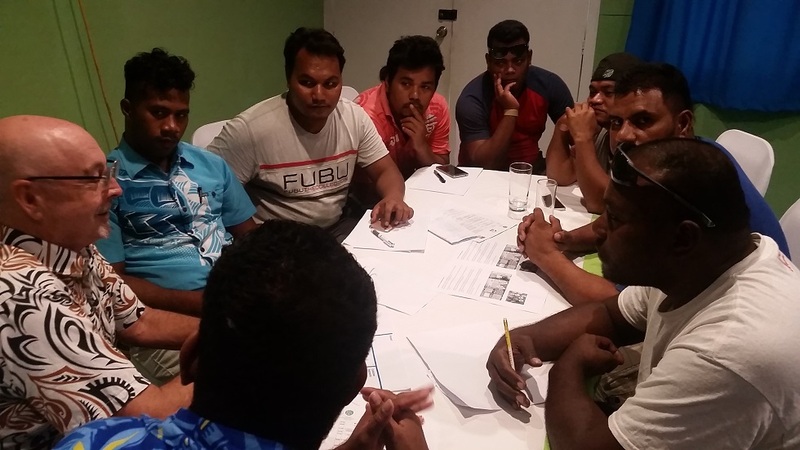 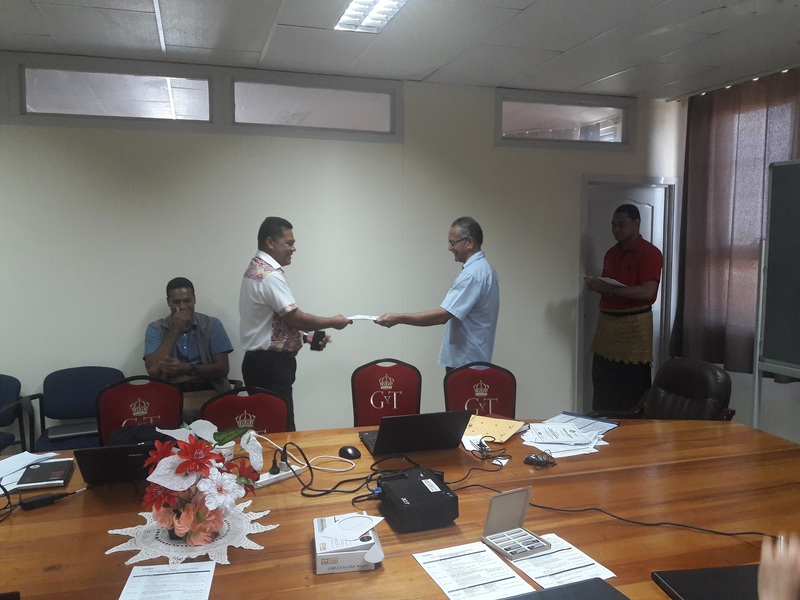 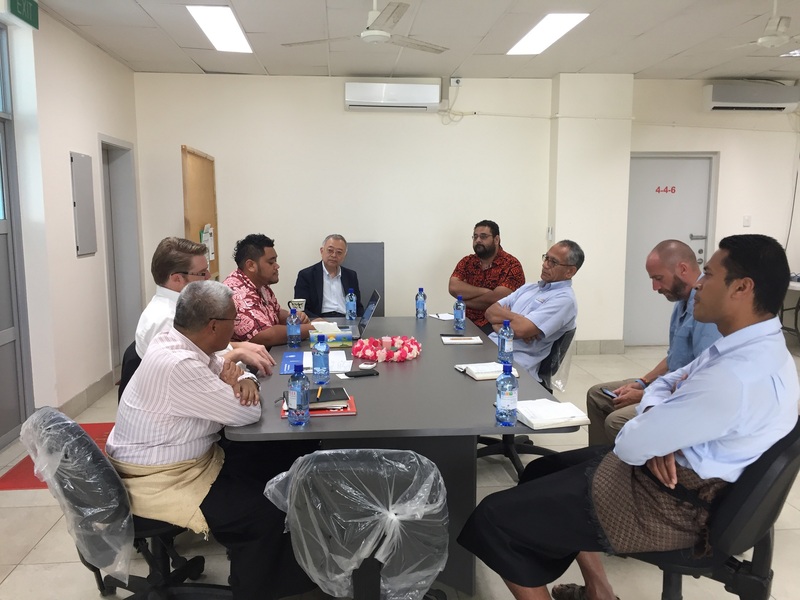 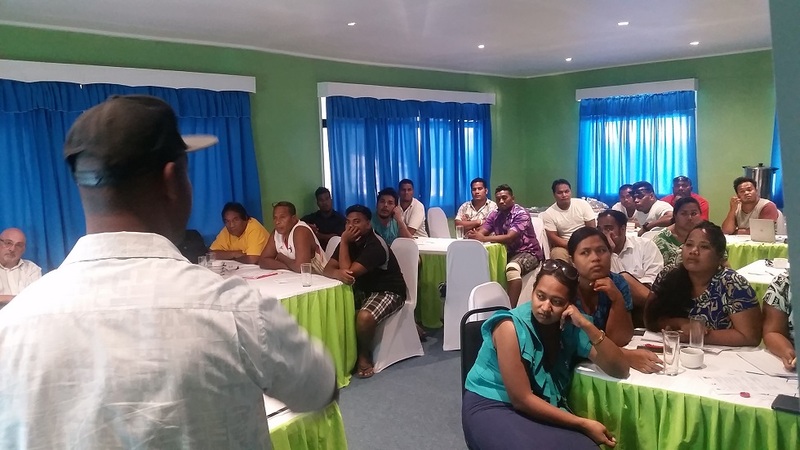 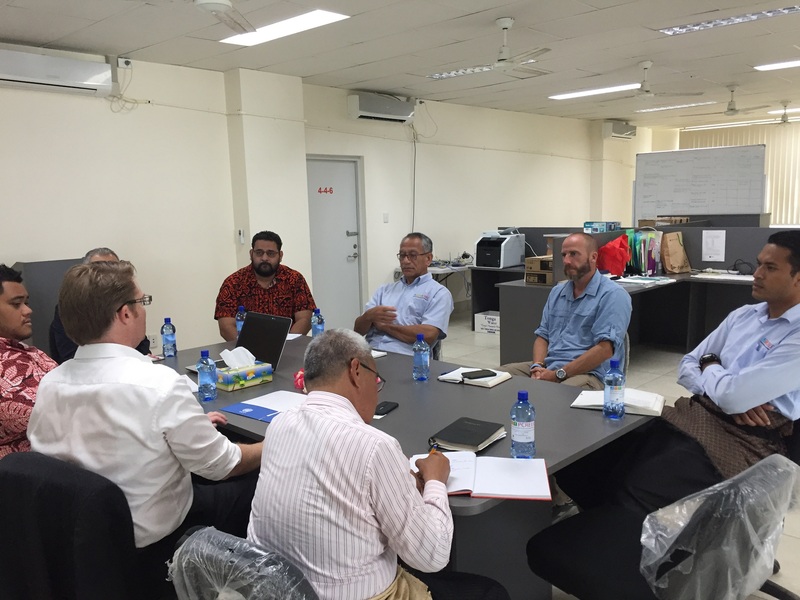 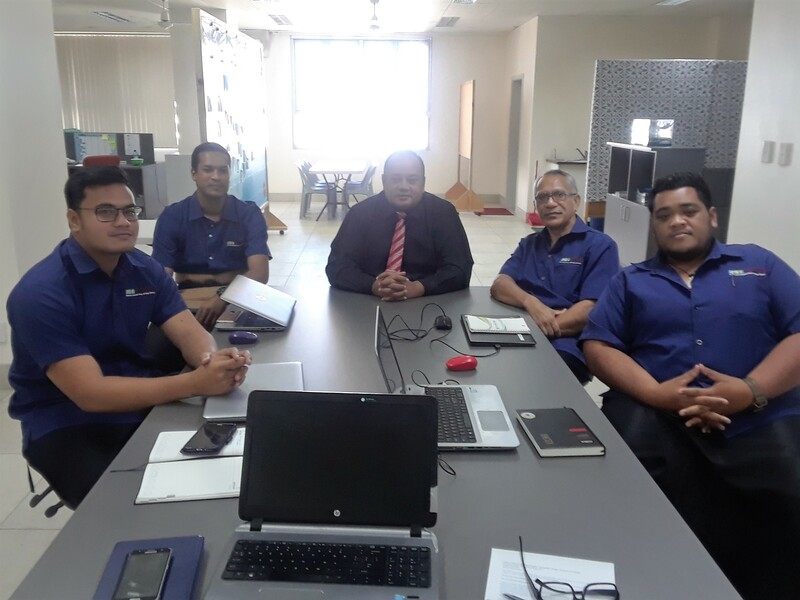 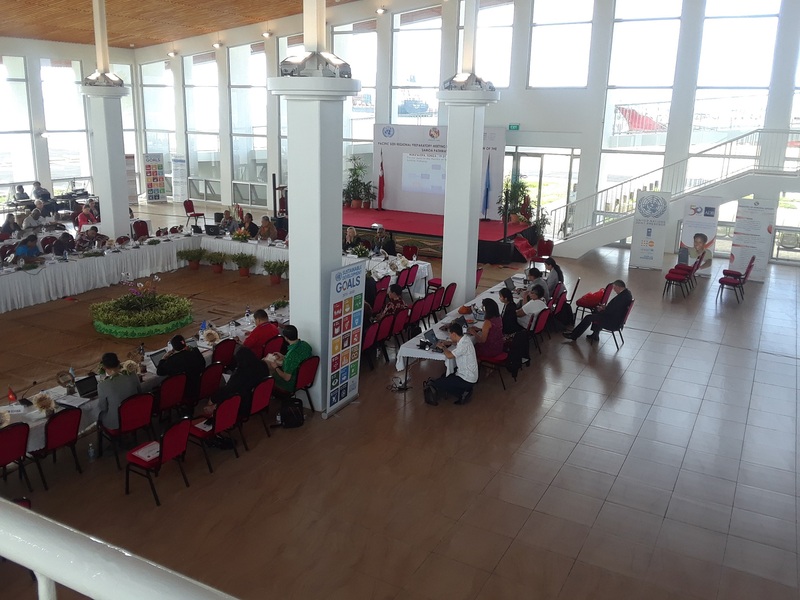 Discussions are already underway for a circular economy proposal that would contribute to addressing Tonga’s youth unemployment, health, wastes, imports and energy security challenges. 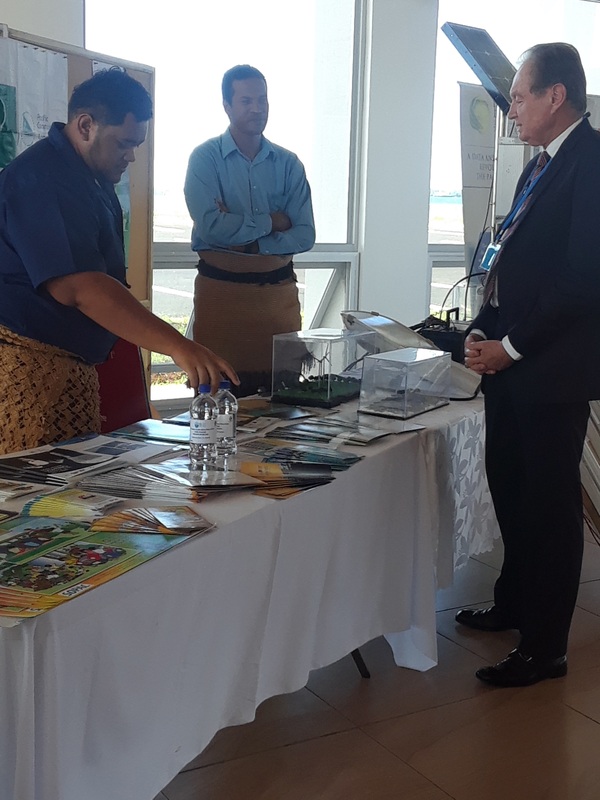 His Majesty has continuously reminded Parliament of the benefits of renewable energy and the need to conserve both the terrestrial and marine environments so as to offer hope and opportunities for the future generations of Tonga. 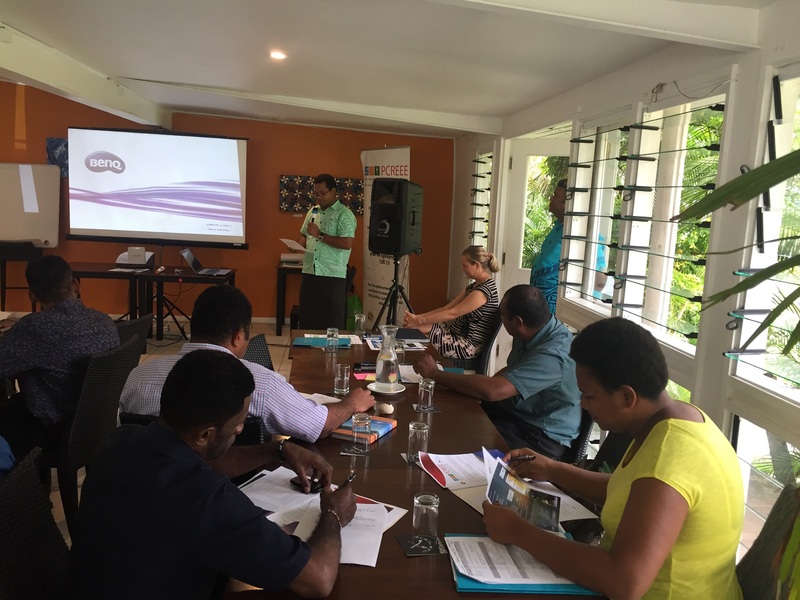 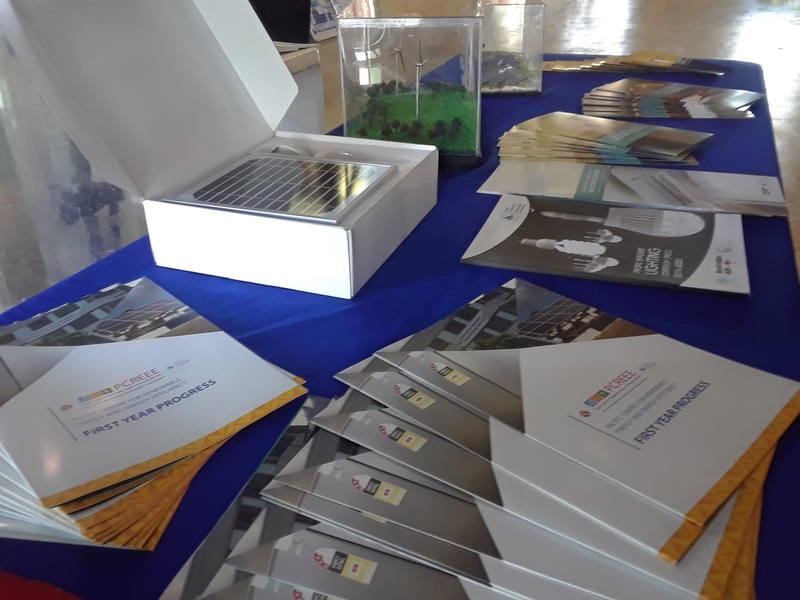 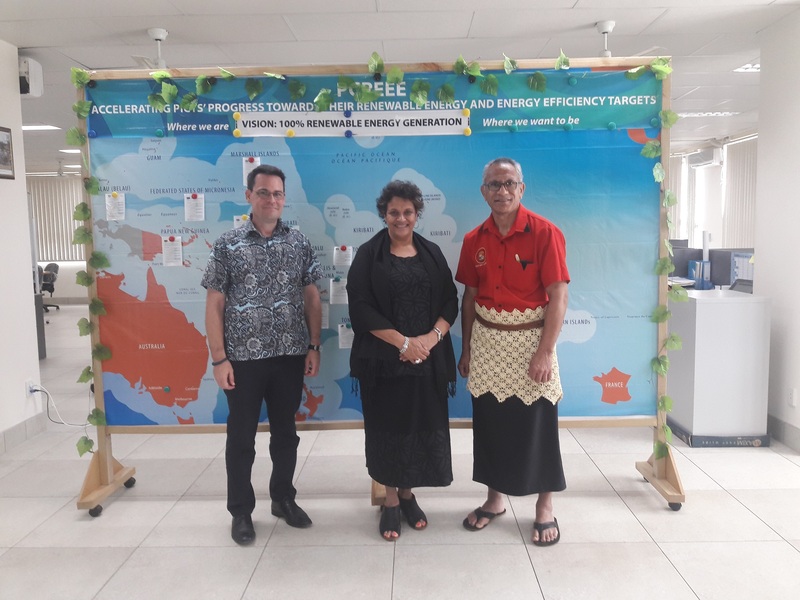 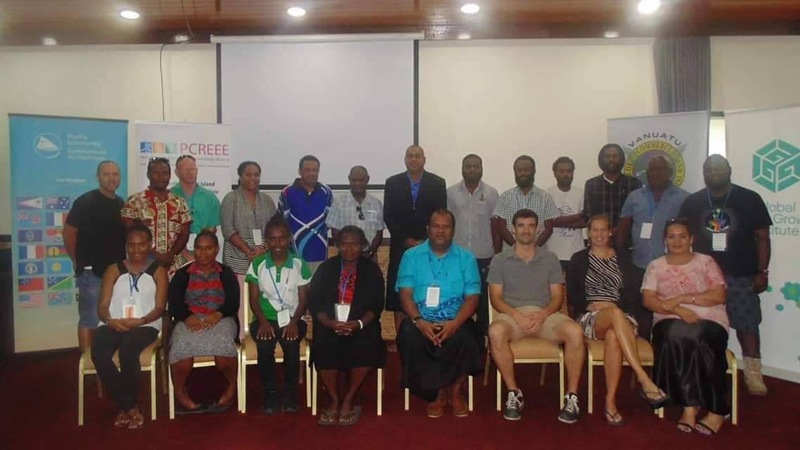 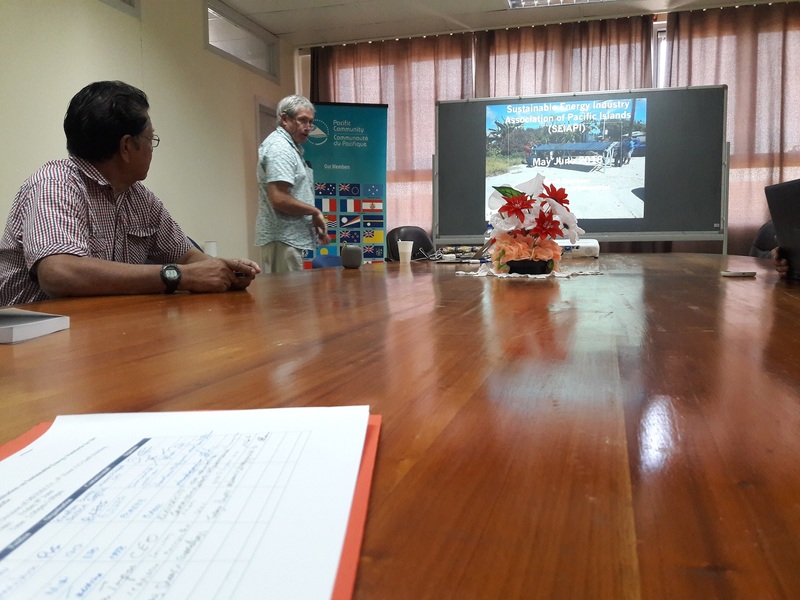 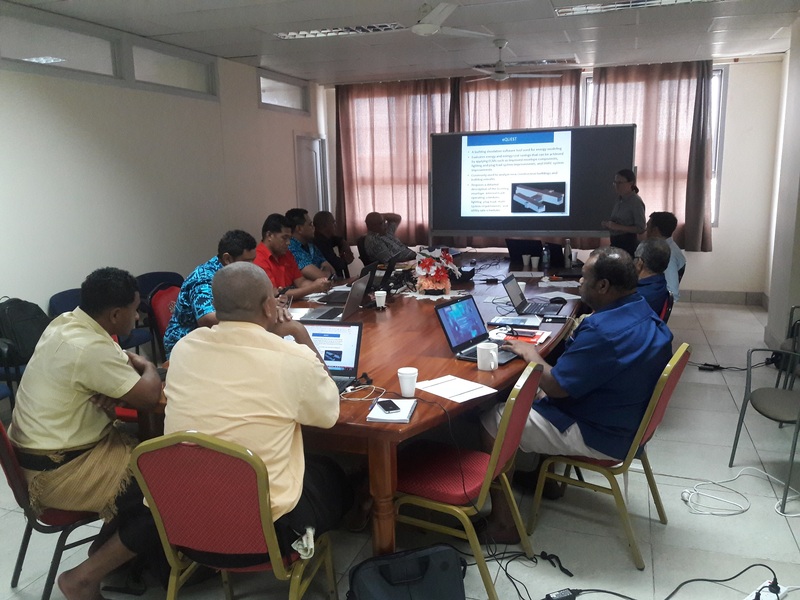 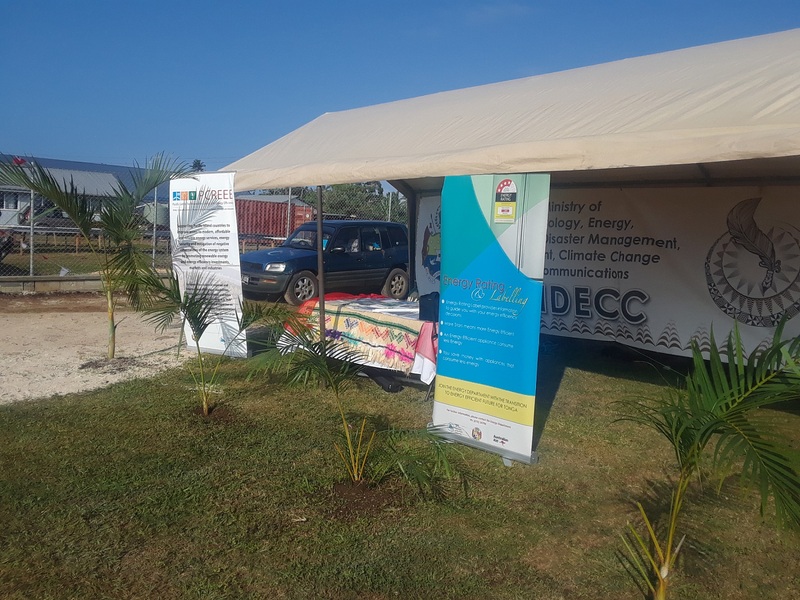 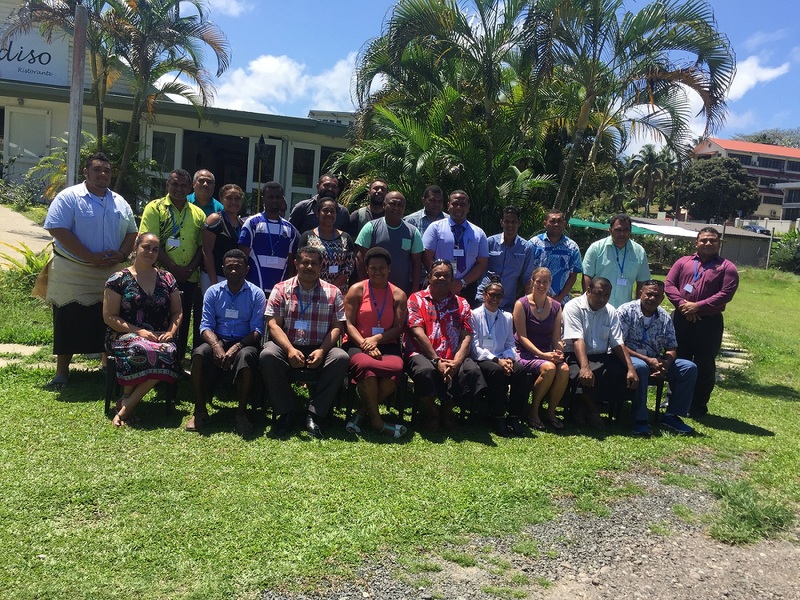 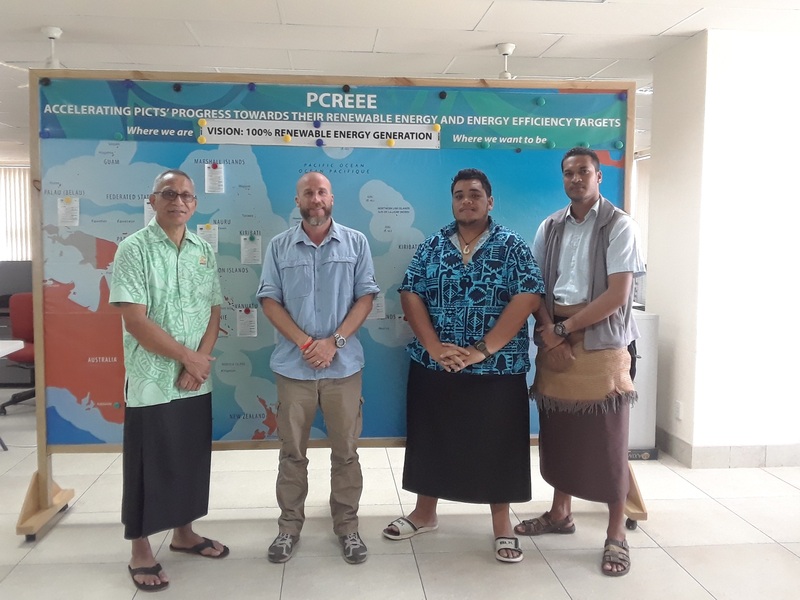 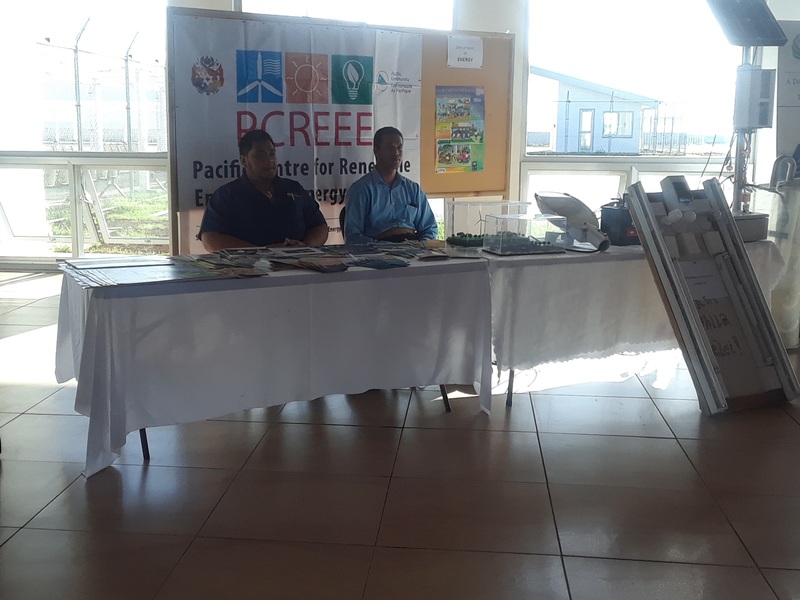 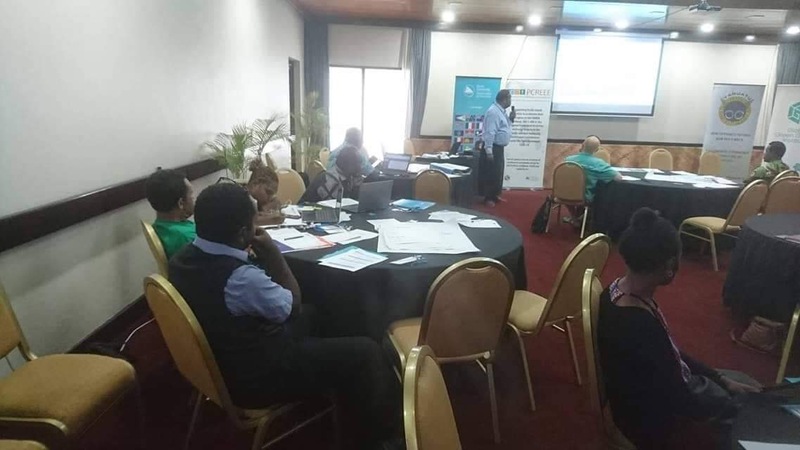 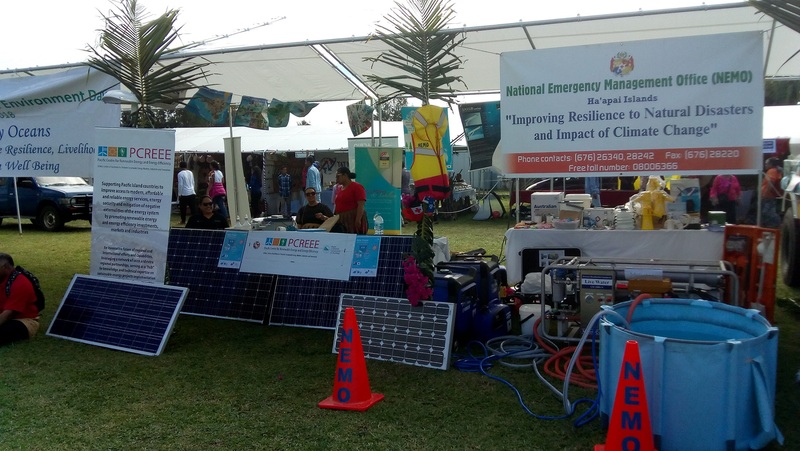 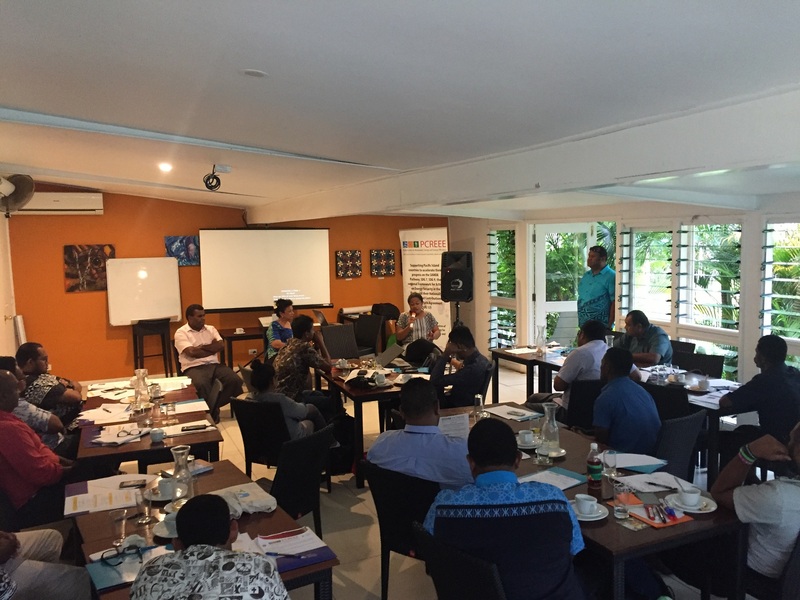 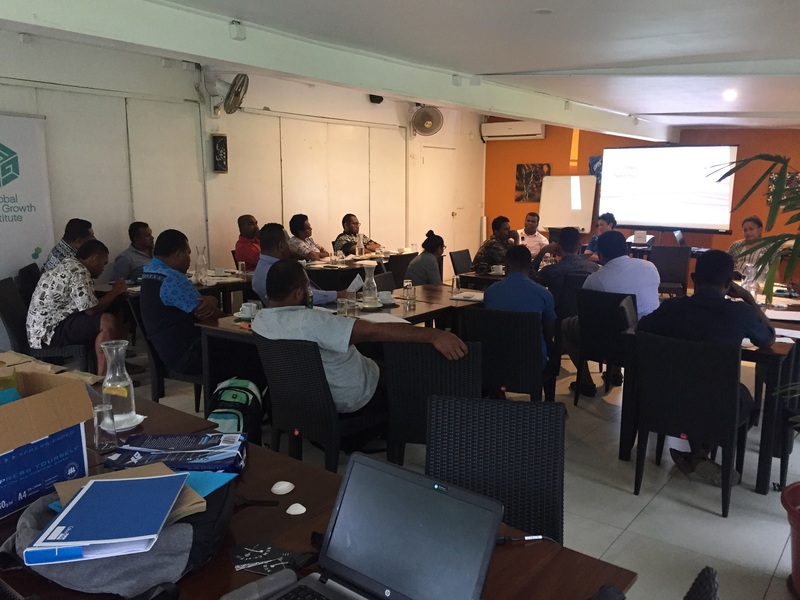 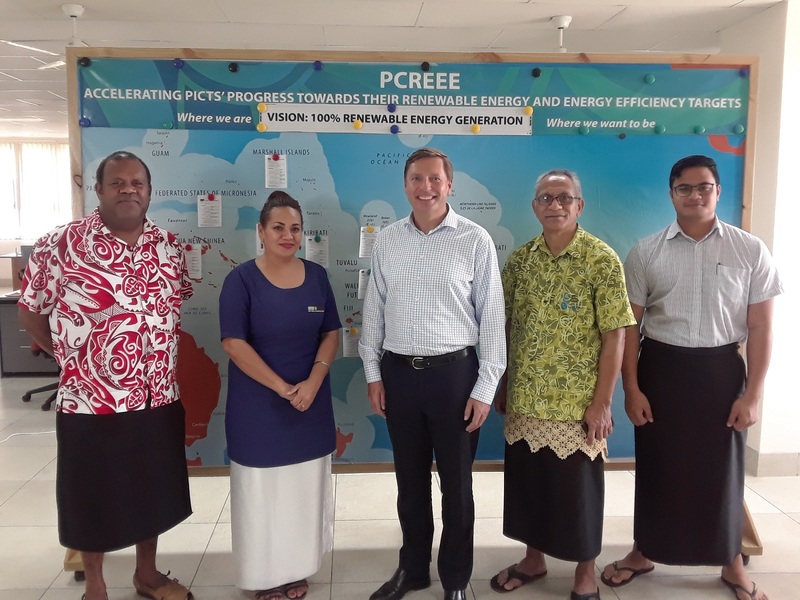 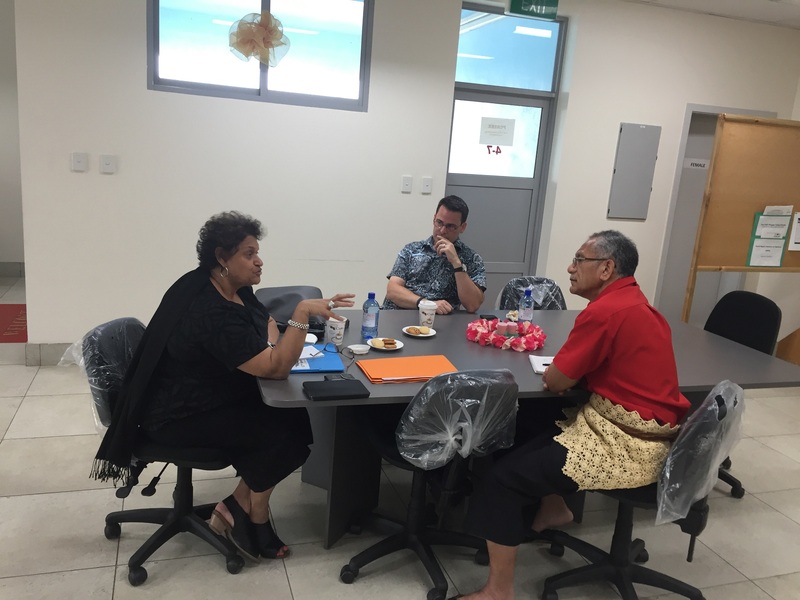 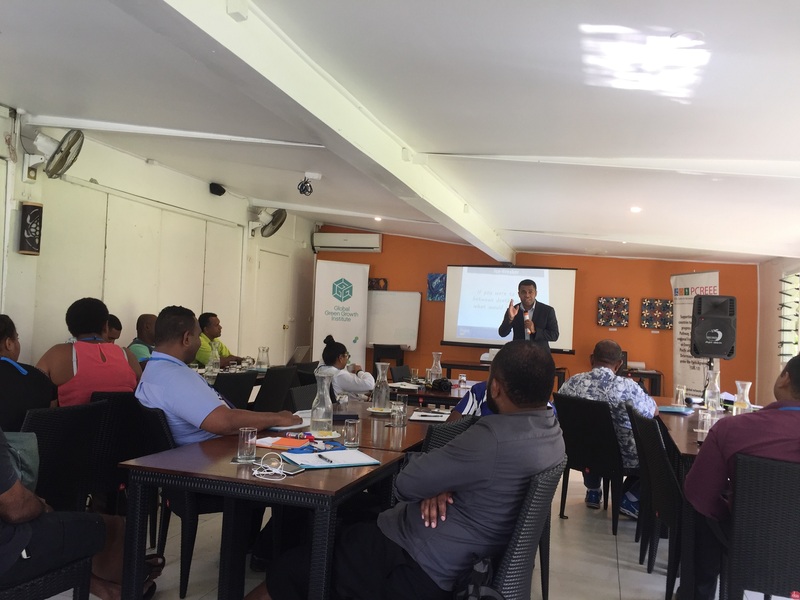 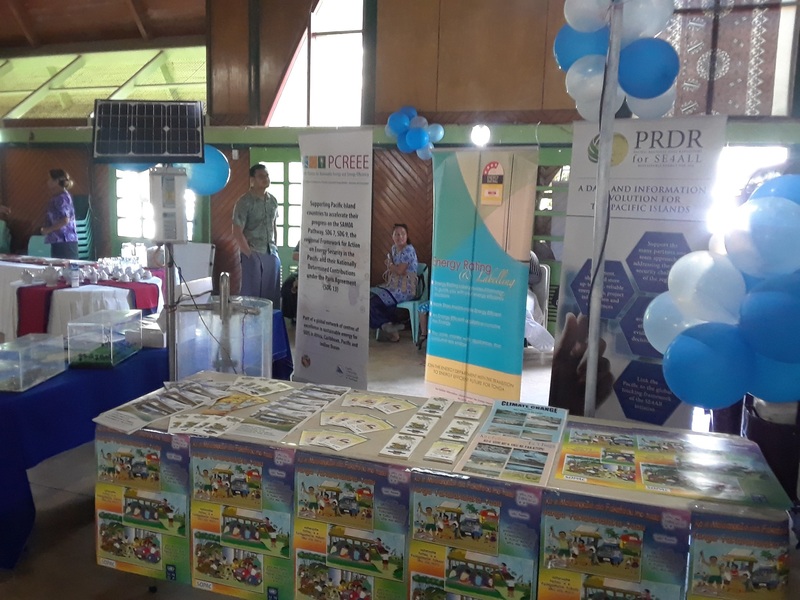 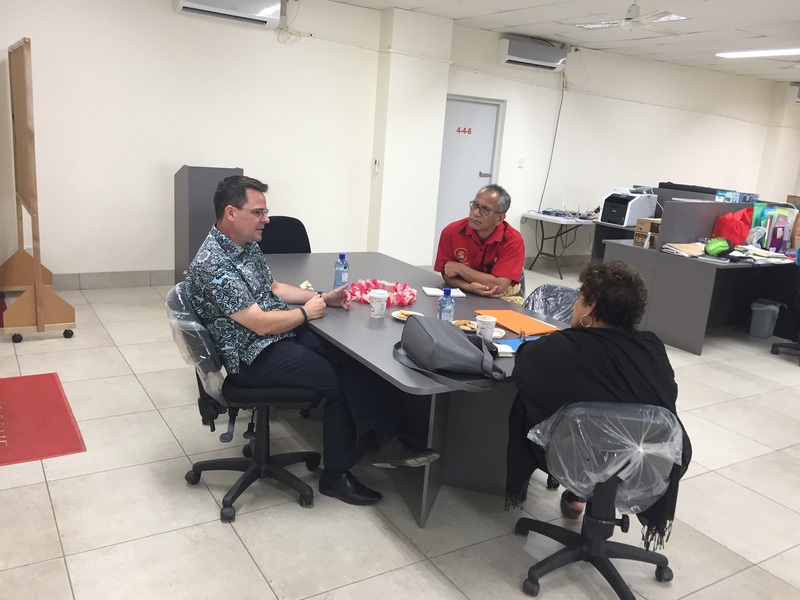 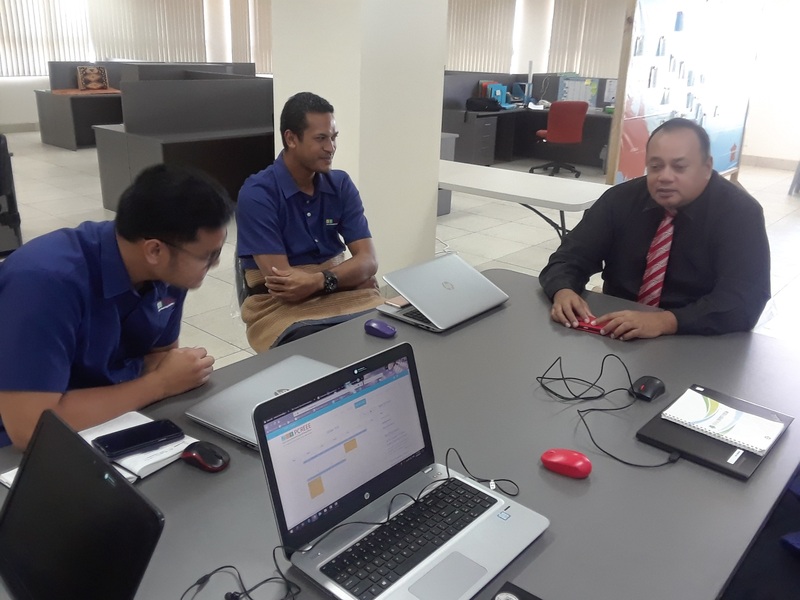 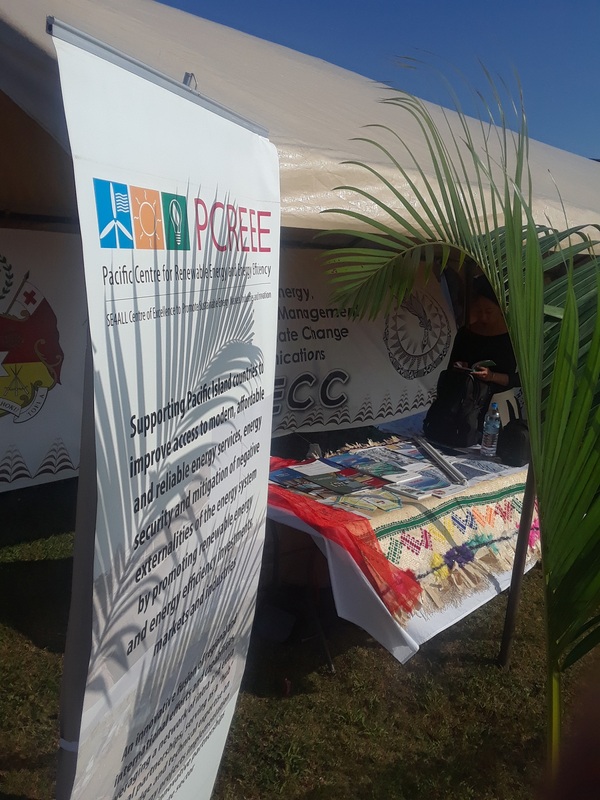 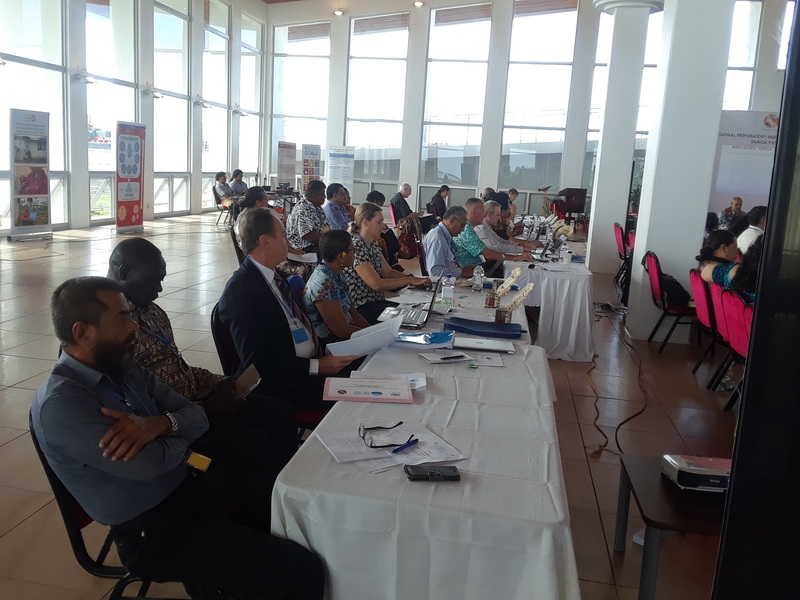 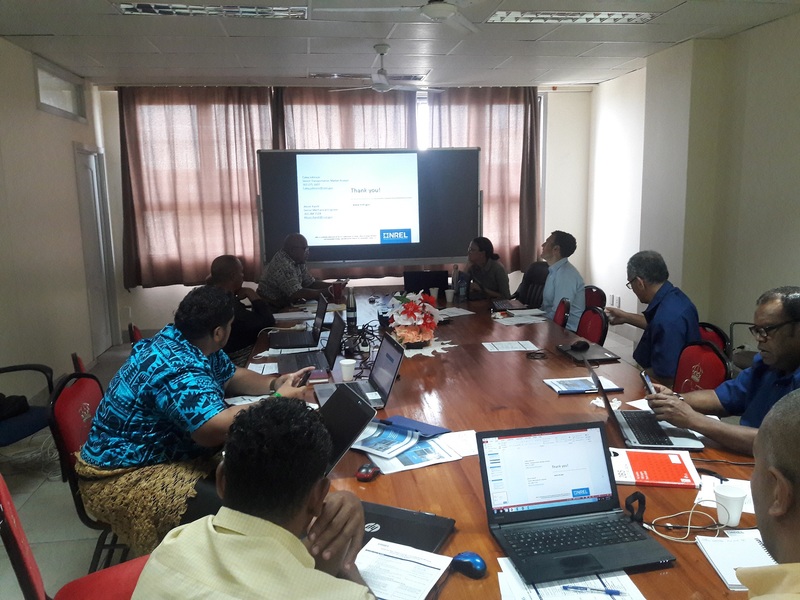 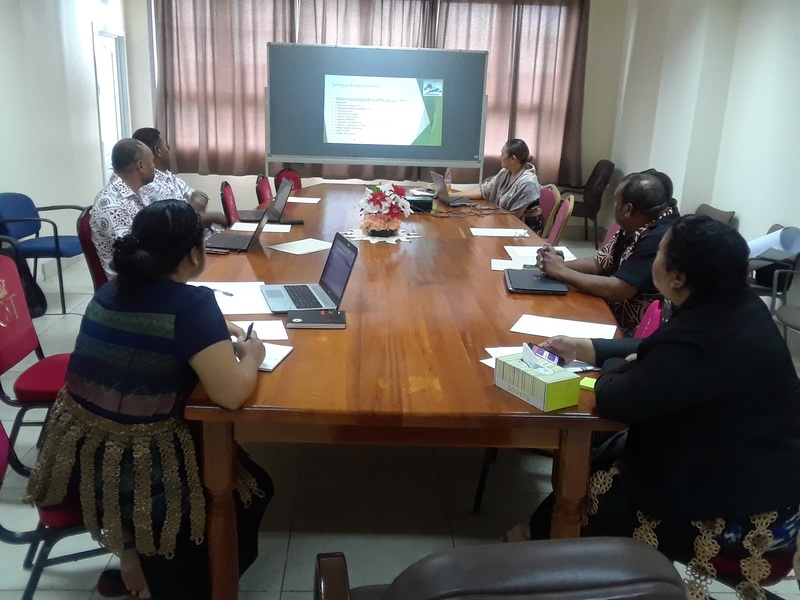 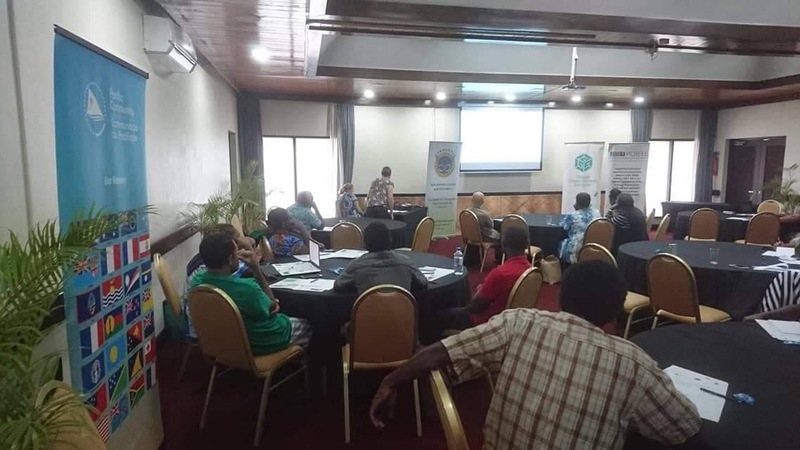 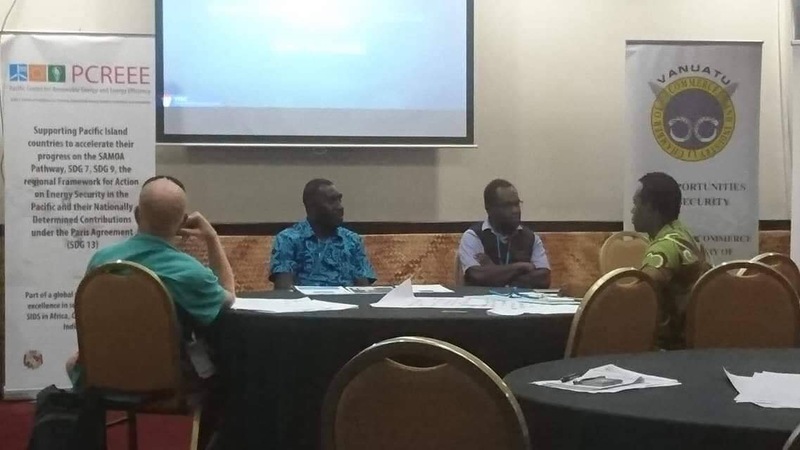 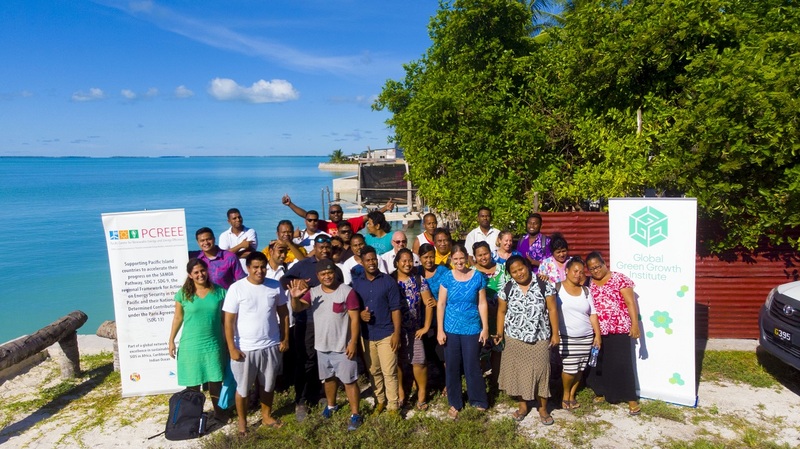 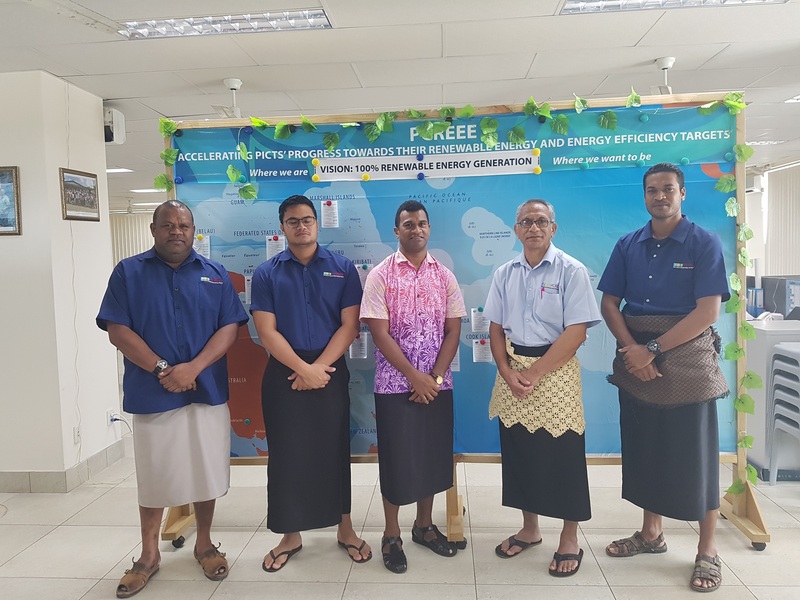 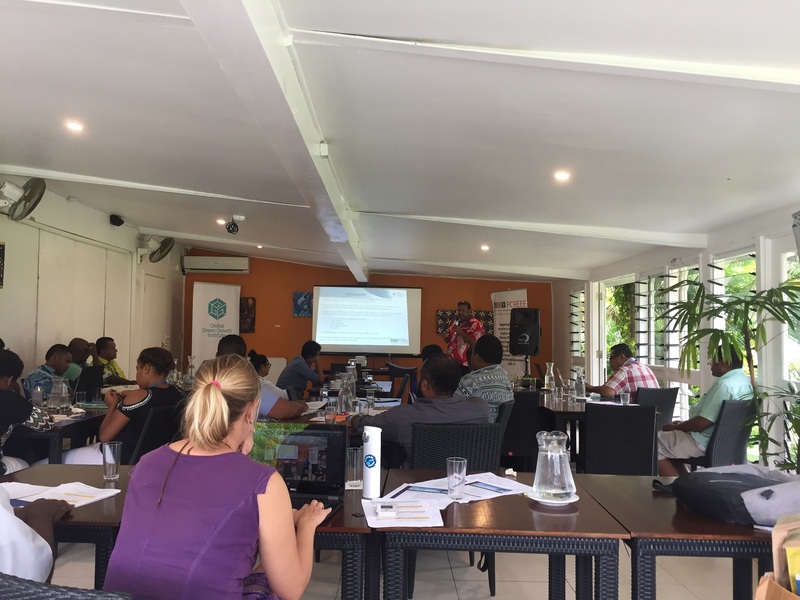 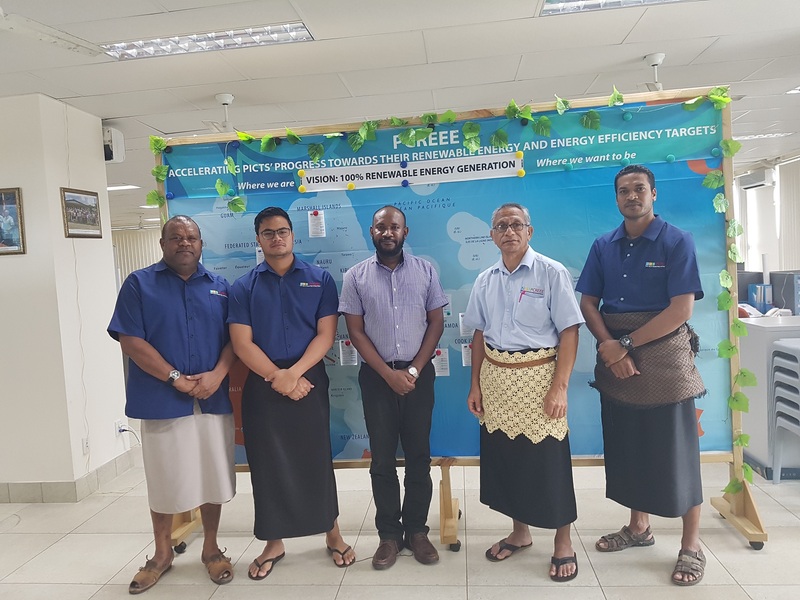 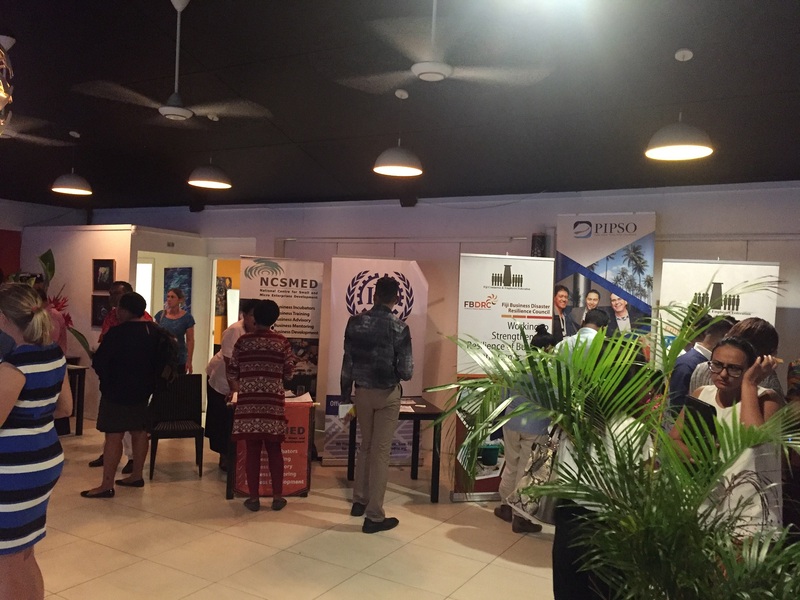 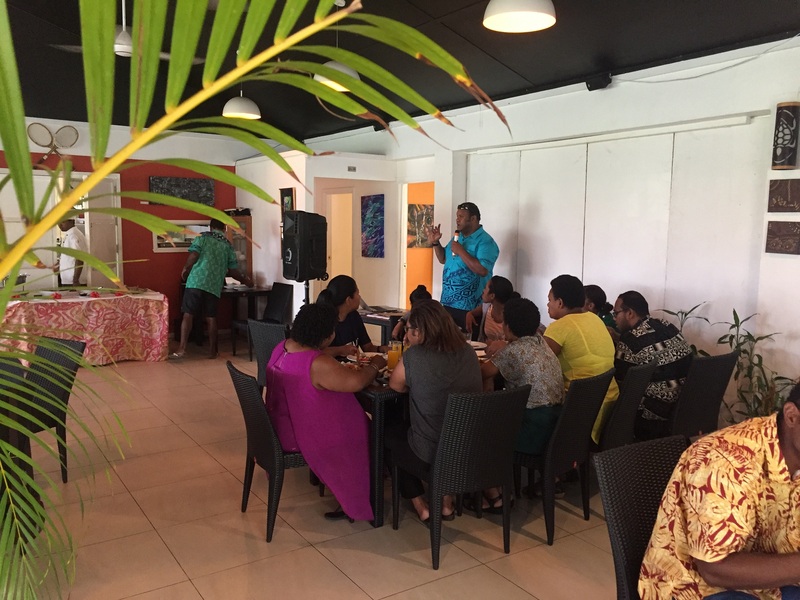 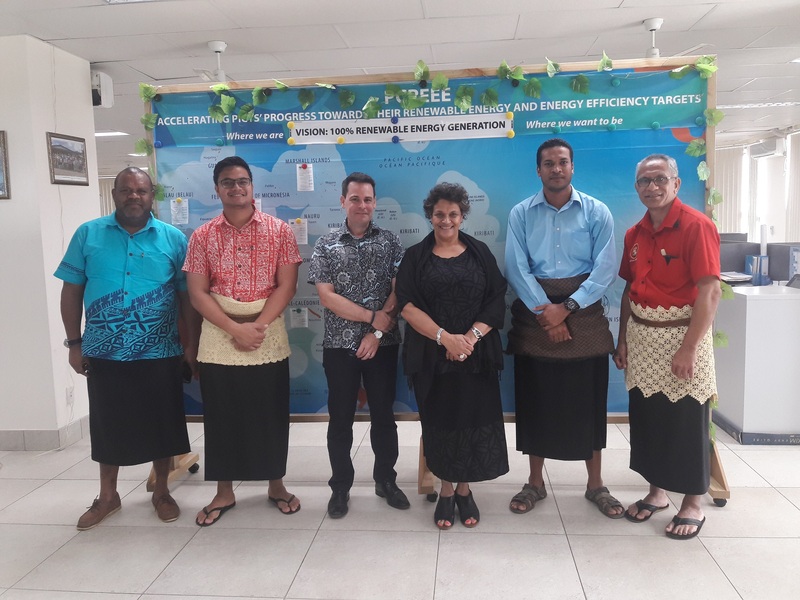 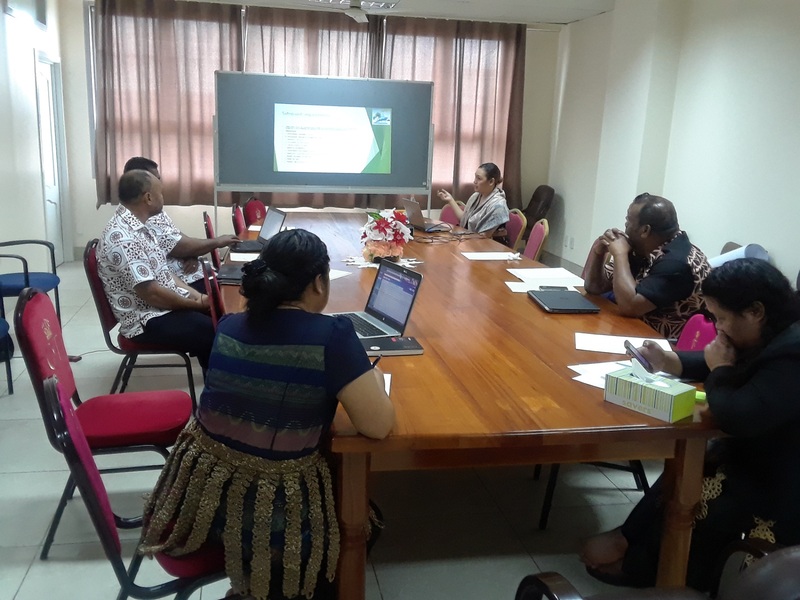 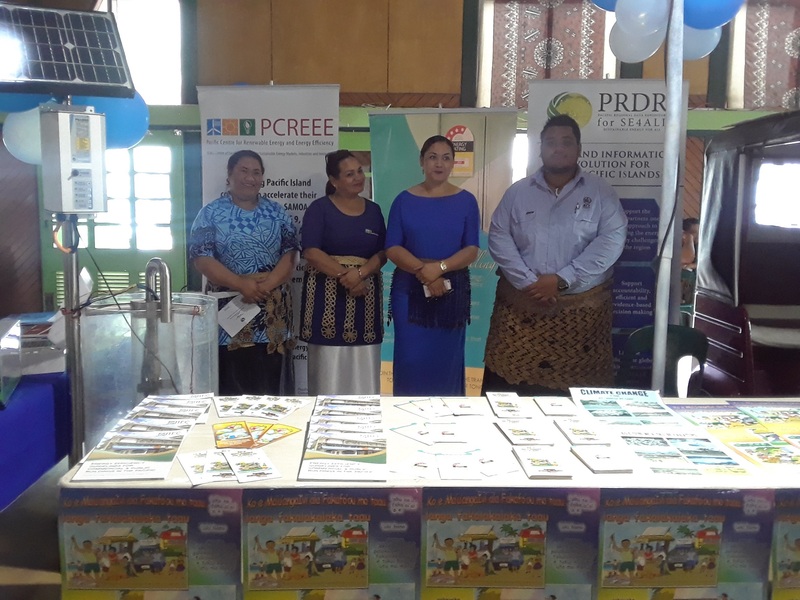 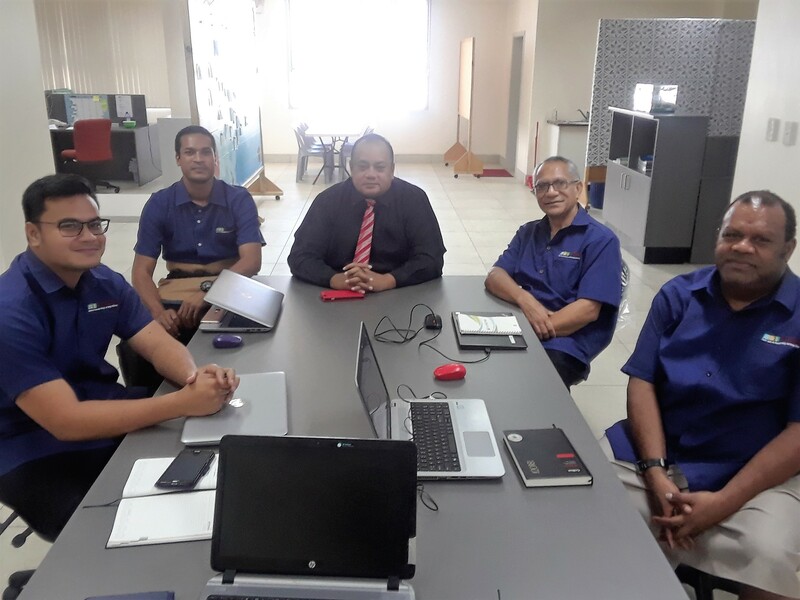 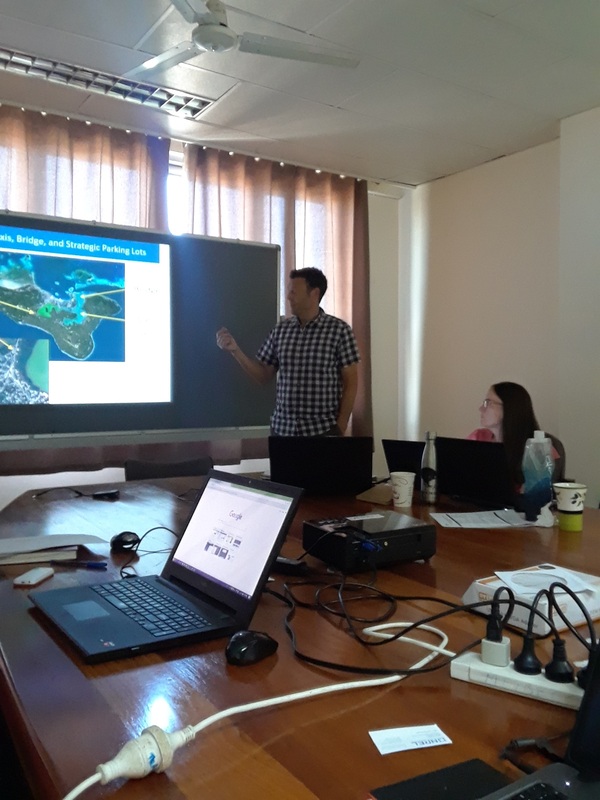 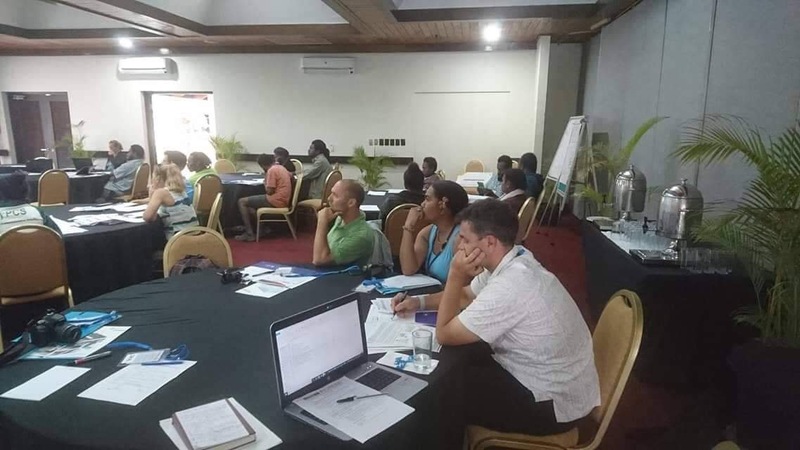 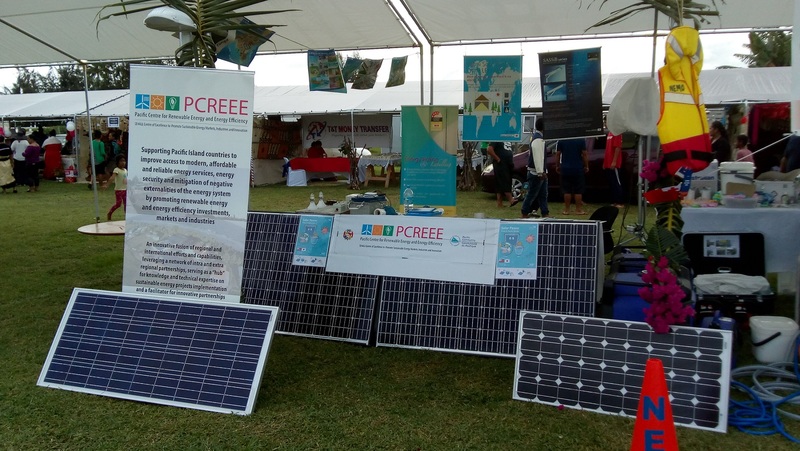 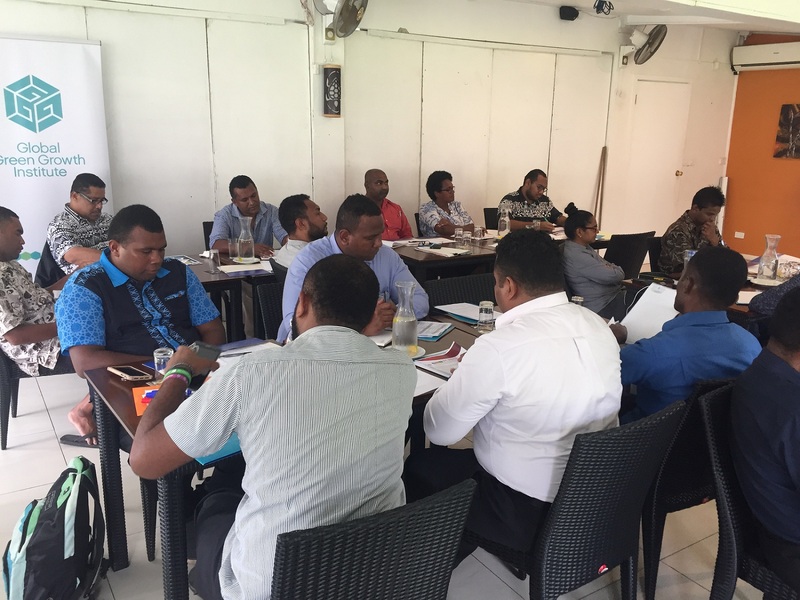 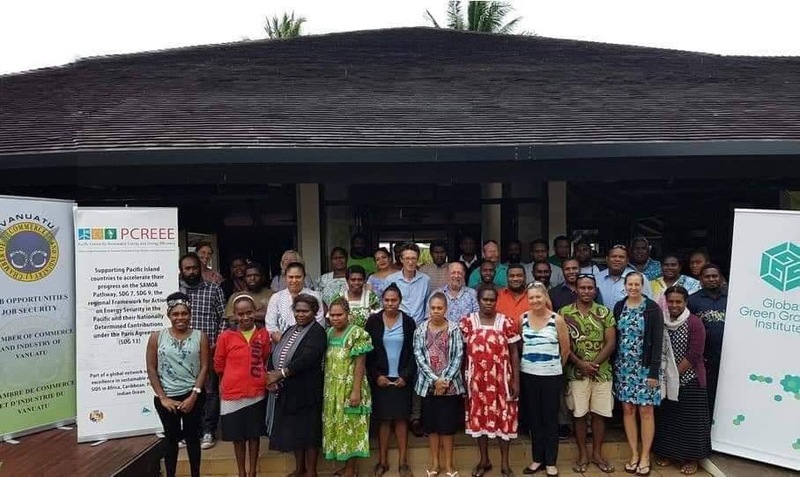 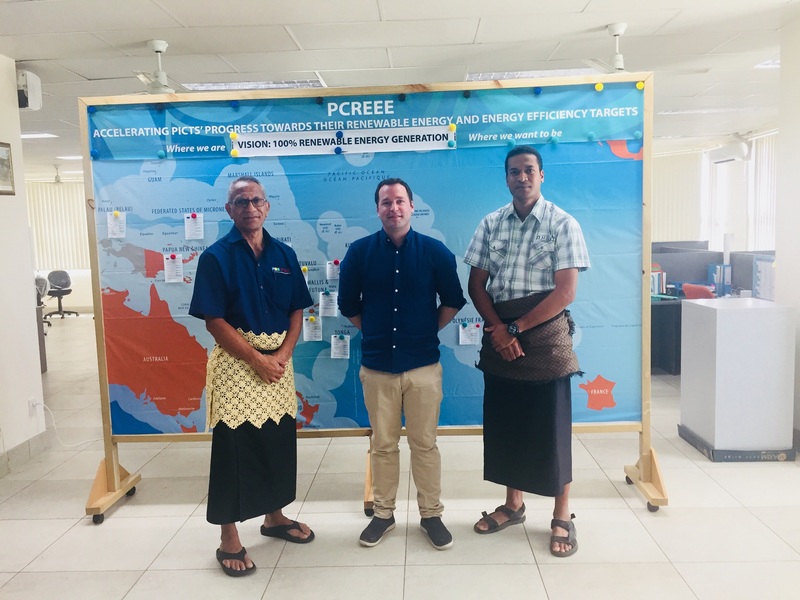 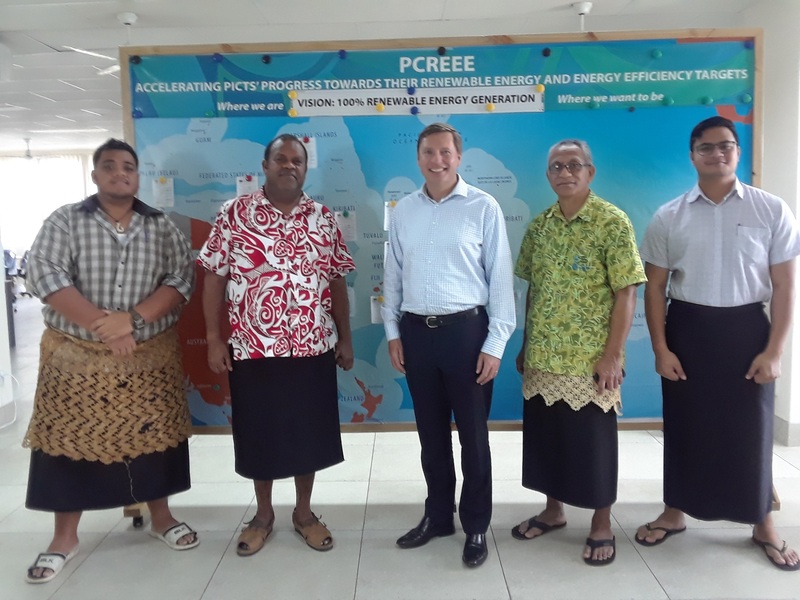 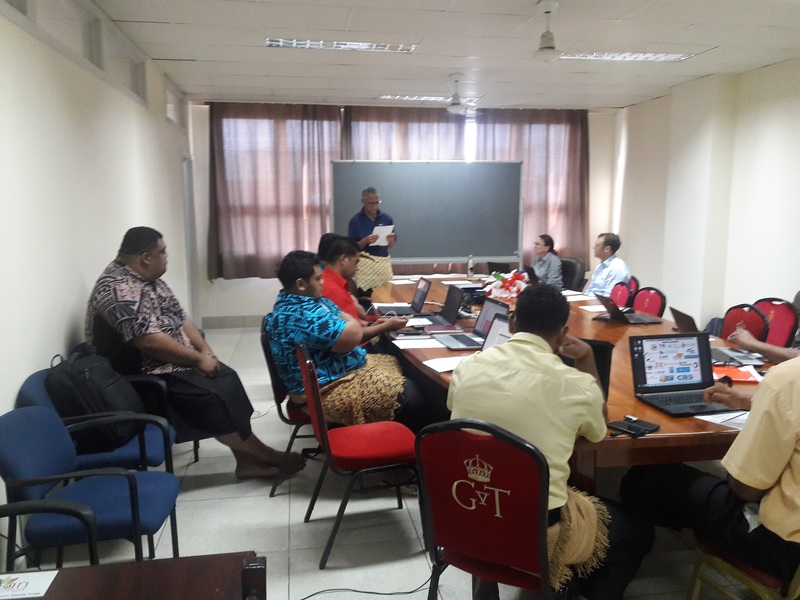 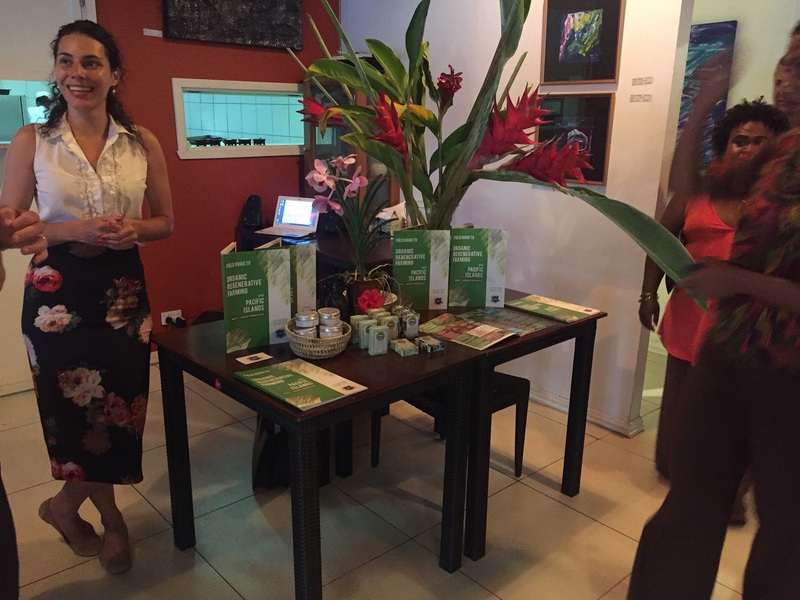 The Nuku’alofa-based PCREEE is hosted by the Pacific Community (SPC) and is a regional vehicle for accelerating the uptake of renewable energy and energy efficient technologies and systems. 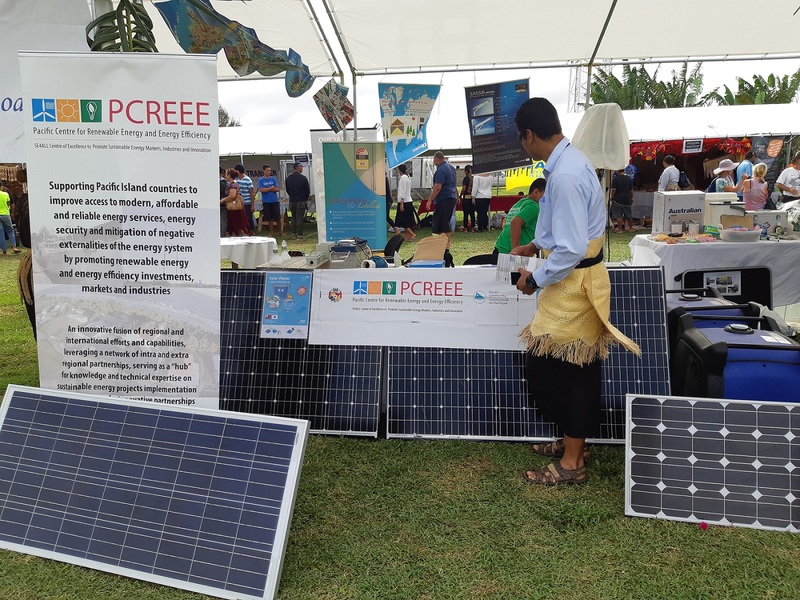 Paea Tau’aika, PCREEE’s Energy Planning and Policy Expert, showcasing Department of Energy’s and PCREEE’s energy projects and services to His Majesty.